I am a huge fan of easy and quick meals that suit the whole family. If you haven’t yet check out “In Momma’s Kitchen” they are all family, friendly recipes. Here is one of my favorite soups that’s very versatile. If you want smooth and thin, add more stock. If you prefer chunks, keep a spoon full of cooked, diced vegetables aside, add to your blended vegetables. My mom likes to leave a few chunks out and add back in her bowl to the puree. Mr P likes the consistency to be like applesauce and so do the kids. I prefer a more soupy soup, so I add a lot of liquid to mine. Either way, make it to your own desire. We love this soup, I hope you will too. Perfectly light and healthy for spring/summer time. Enjoy! in the MAD Blog Finals! Thanks hunny. I know I don’t have enough hours in the day to cook and bake things that take hours to prep and then finish. I need fast, yummy, easy, and fun meals. Mmm looks delicious! Love a thick soup. Ya, I actually like it both ways depends on the weather and how I am feeling. Sometimes I keep it all lumpy and only pulse a little bit for the texture. Thanks I am trying to get better. I have some many recipes to share but never did it before because all my photos were bad. Thanks for hosting. 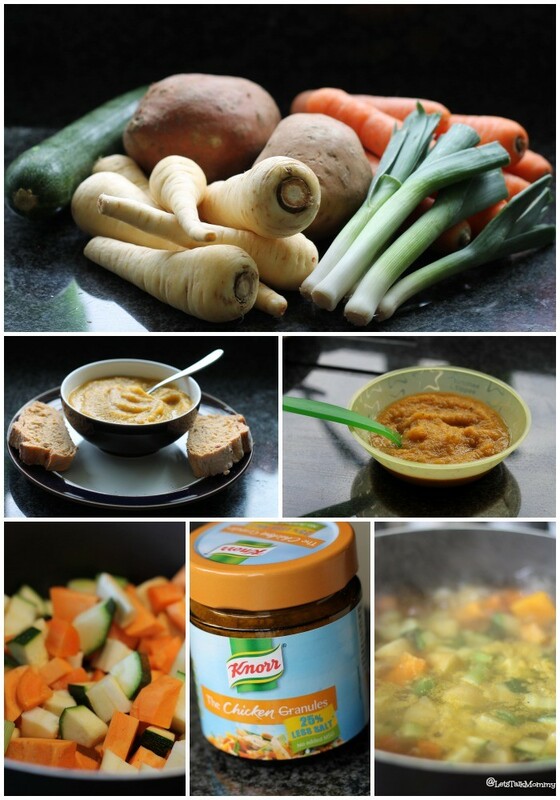 This looks really tasty and healthy to boot, a great lunch and I love your photographs! Thanks Sarah. I really struggled at first on food pictures so I didn’t share any recipes at first. I am getting better. 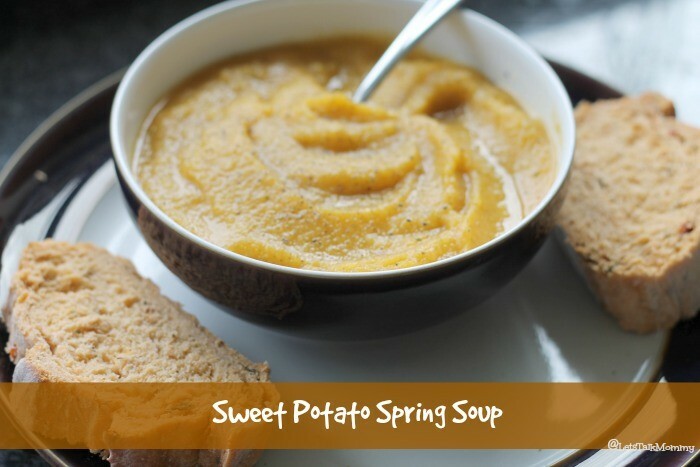 I love sweet potatoes- so versatile and I’ll be trying this yummy soup. I never thought of adding parsnips so will definitely give it a go. Your photos are great too. Oh yummy, I love soup and sweet potato is one of my favourites. This one looks delicious! Thanks Sophie. I love it as you can really add anything to it or if you are missing an ingredient substitute.